What are good monitors ? 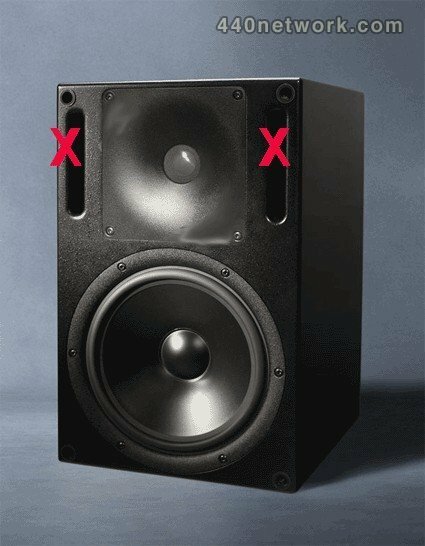 "Closed cabinet" vs. "Bass –reflex"
Proximity vs. "a good room"
A good set of speakers should give you an ACCURATE picture of your sound while you record and mix.. What is meant by accurate is a reproduction of the signals that truthfully reflects the signals you have chosen to record and playback. To do this the speakers should have an excellent phase relationship and a flat frequency response, both of which are very difficult to do. And then there is always as your listening level increases, this is the problem of the room that you are monitoring in. It is always important to keep in mind the eventual " audience " who will be listening to music You should mix your music on a system that corresponds to the one that the majority of people will be listening to it on. For example if your " product " will be heard at a night-club or disco you will need at some point to listen to large monitors with large woofers to get a complete picture of how the bass is reproduced. If your product will be broadcast on television you need to monitor in mono and on small speakers, ideally from a television itself. If you believe that your work will be heard on both then you should do trial listening over several different sized systems. As the majority of persons will be listening to your music on a hi-fi system in their home, your first choice in monitors should be of a size that relates to this. And the speakers should still give you a " flat response " or unflattering response curve to judge your recordings. The recent trend in studio monitors is towards " Active monitoring ". Speaker manufacturers are now matching speaker designs to the amplifers that power them. This is great, as the same speakers sound different when powered by different amplifiers of different power ratings. Now you can be sure that your active monitors will sound approximately the same where ever you listen. Or at least you have removed one element from them sounding different, the room is still going to change the sound. That is the positive aspect of " active monitors " the negative is you carry around heavy speakers, and to help you out the manufacturers have very kindly given you a " bass-flex " design. Great, you think. But….. Put your hand up to those ports/holes in the cabinet and you get nice little puffs of air (and sound) everytime there is a bass signal. Are they in phase with the signals coming from the woofer? The constructor will swear they are…..but are they? They are not. Do a comparison between a " closed-cabinet (non-ported)" design and a " bass reflex " and you will hear the bass smear and spread of the sounds coming from the bass-flex cabinet. And while most speaker systems are of a similar design, especially hi-fi that love to give an exaggerated bass, it won't tell you what your bass frequencies really are. Listen to a bass-reflex monitor system, can you pinpoint the bass? Or is it all wide and floppy? Now do the same on closed monitor; the bass is tighter and more focused as there are only 2 sources, the woofers, no holes front or back. The transients will be better defined as they are correctly aligned giving you the accurate "in focus"picture. Some manufacturers use "tranmission-line" design to partially overcome this. They build in a labyrinth for the sound to run through and the sound comes out 180 degrees out of phase. Your fundamental frequencies are 1 cycle behind,,,, but the attacks are better, because they are lined up again. You can mix and record on Bass-Reflex lots of people do. But you run a much higher risk of NOT having the bass content you thought you did. And when you playback on a friend's hi-fi the sound can be without all the lovely bass you were sure was there! ! Save money by buying small near-field monitors, run them at a low or comfortable level and don't treat your room. You will impress your wife and the master engineer! If you are a Pro studio this won't be possible, some deaf musician will always ask you to turn it up, and most client still confuse LOUD with better, usually it is the opposite. As you turn up your monitors, the room acoustics come into play. And your room is a swimming pool of full of little waves reinforcing or cancelling each other out. Each space has a resonance and it will be apparent in your mixes, as it will be the frequency that will be missing in your mix. If you mix with the vast majority of the sound coming directly to your ears from near-fields, you stand a better chance of not screwing it up. Once again if you could only SEE the sound, the problems would very apparent. I recently heard some very impressive Altec-Lansing " Voice of the Theater " speakers with 30cm woofers made of paper with very low mass and we got 109db with 2 watts of power! The resulting dynamics were incredible. The drums and bass were so present. Only drawback, they are very fragile. A boomer pushs air forward, brakes, stops, then moves backward, brakes, stops. ETC… The more mass or weight the Boomer has, the more inertia it has, the more difficulty it has to stop and reverse direction. The lighter the truck, the faster it will brake, try it with a load of bricks in a van.Obviously the less weight or mass a boomer has, the easier it is to respond to the task of reproducing the sound wave asked of it. The test for judging this is to listen at LOW level for the dynamics of the music. If the speaker has a low mass the impression of having dynamics will be there, if you have to turn up the volume to get a " punchy " sound the boomer is a fat, lazy guy who will never move like he should and will eat up all your amp's power to get dancing. Here again "closed speakers" have an advantage over "bass-reflex". The expanding and compressing of the trapped air behind the woofer helps to overcome the inertia of getting the woofer moving and then getting it to brake, instead of overshooting. The "bass-reflex" models cannot brake as fast because they are sucking or pushing air out the port. They are freer to overshoot from the inertia, as it is only the amp calling it back magnetically that is helping out. The "closed speakers" design has the amp and the trapped air working for it. Personally I mistrust them and would only mix with them if I were required to do a 5.1 surround mix where the playback system would include a sub-woofer. First there is the problem of the phase relationship of the third source of the bass frequencies, and then there is the fact that all the bass frequencies will be accentuated. The risk again is that you get an artificial boost in the bass, and you do a bass-light mix. Where did all my lovely bass go? This is what you will be asking yourself when you listen to a friend's system WITHOUT a sub-woofer. Best avoided. Imagine you are 40 years old sitting at a bar, and 6 feet away is a beautiful woman discussing not too discreetly with a friend how attractive you are, but you can't hear her. Monitor loud, for long periods and often enough and it will happen to you. Keep going on abusing those subtle receptors on either side of your head and your mixes will terrify dogs, young children and most women because of the over-endowed high frequencies that you can barely hear. Keep your monitoring levels at a reasonable and you will get compliments on how well you have aged. Yes, you can clock the 828 by using the AES/SPDIF inputs to accept the AES or SPDIF output of the Lucid. Your recording software has to know what's up. So in the panel where the decision about the "clocking" is made choose "external". Important. this clocking info is lovely SQUARE waves, the one with sharp edges that don't like to be rounded off. So use a GREAT cable, else it will sand off those leading edges. In the stone age of digital, I was given a "wide-eye" cable by rep from a certain company, I use it religiously, and my clocking has been without transgressions ever since. TRY a garden variety "dirty" cinch cable from "Joe's ultimate hi-fi store" vs. a purpose-built 75ohm SPDIF cable and you will hear the difference. If you don't, call your mom, and confess that you haven't cleaned your ears for two months, and you need her help. For your lonely L2, once you start to add a few elements in a studio together it is time for MR. Black Burst or Master Word Clock to appear on stage. There are few of these out there and as they are dedicated to that sole purpose of ultra precise clocking, they do it well. They usually have 6 or so outputs to share their beautifully stable, less jittery clock. But that is the day you find out that bargain machine XXXXX hasn't a Word clock in. Even if you don't need it immediately, if there is a choice between a model with a Word clock in or none, and it isn't too much more expensive get it. You are thinking of the future and improving the overall quality of your studio if you get the "word-clockable" model.